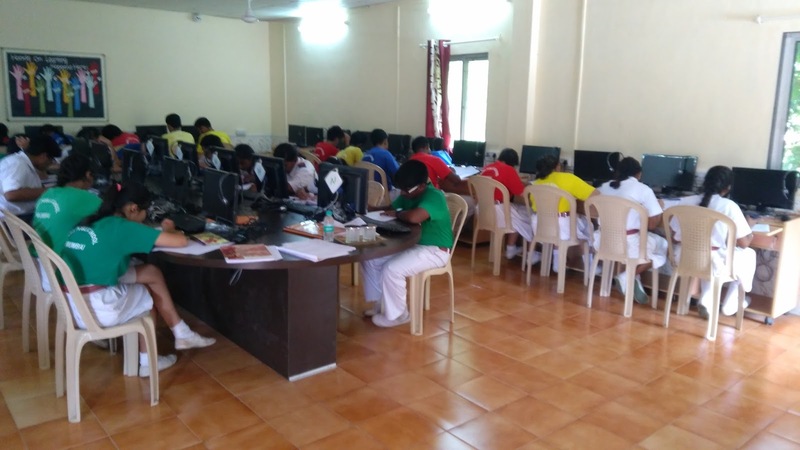 Vellore Institute of Technology (VIT) University conducts Vellore Institute of Technology Engineering Entrance Exam (VITEEE) for admissions to B.Tech. 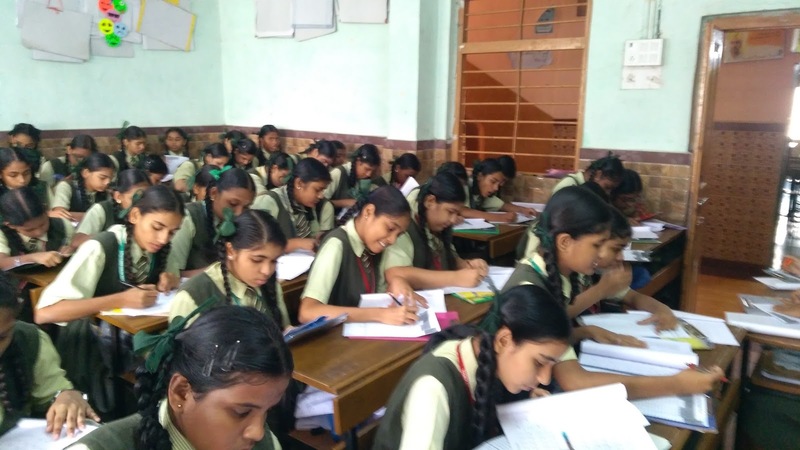 programmes at its Vellore and Chennai campuses. 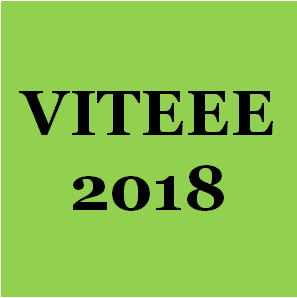 VITEEE 2018 will be conducted from 4th April 2018 to 15th April 2018. VITEEE 2018 is a computer based test. The duration of VITEEE 2018 will be 2 ½ hours. 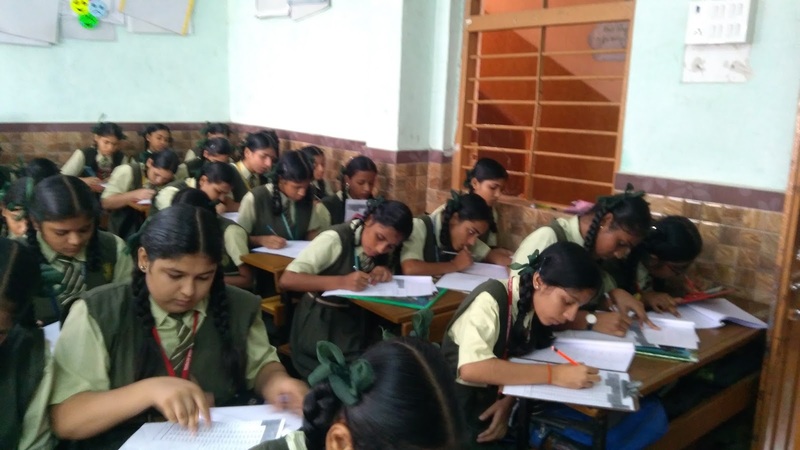 This entrance exam consists of objective type multiple choice questions. 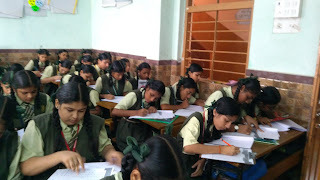 PCME - Candidates appearing in PCME (Physics/Chemistry/Mathematics/English) are eligible for all the B.Tech. degree programs. PCBE - Candidates who have studied Physics, Chemistry and Biology are eligible for B.Tech. 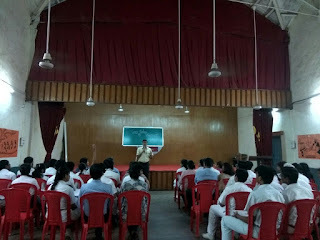 Bio-engineering and B.Tech. 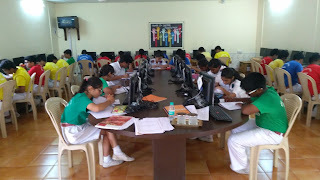 Biotechnology programmes. 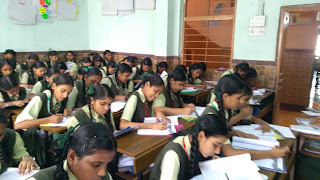 They are also eligible for B.Tech. Computer Science and Engineering (Spec. 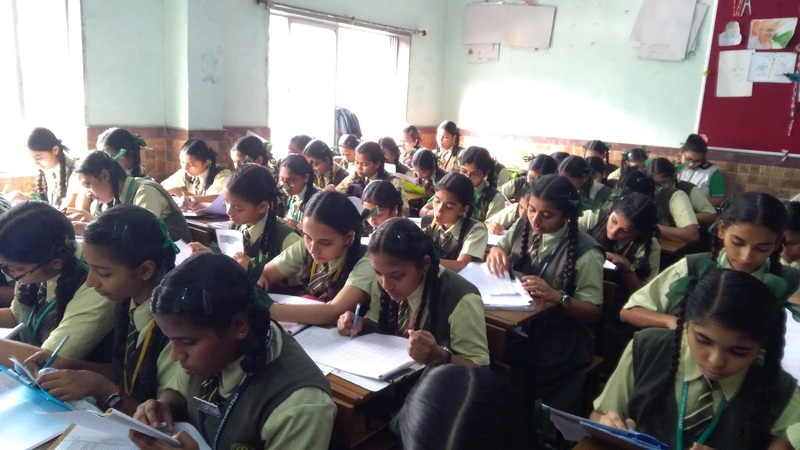 in Bioinformatics) and Electronics and Communication with specialization in Biomedical Engineering but after joining, registering Mathematics as bridge course is mandatory. 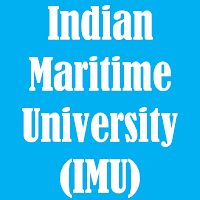 Indian Maritime University (IMU), a central Government of India University provides courses related to the maritime sector. 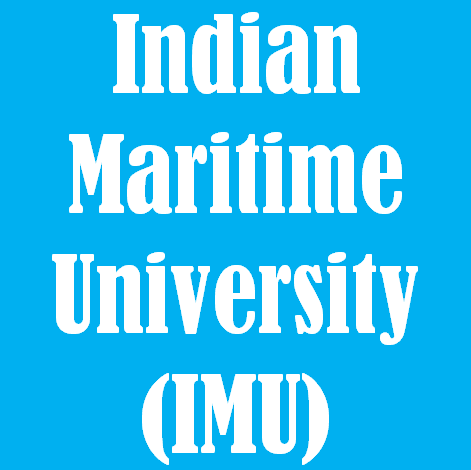 Admission to the above listed courses is conducted through the online IMU Common Entrance Test (IMU-CET) every year. 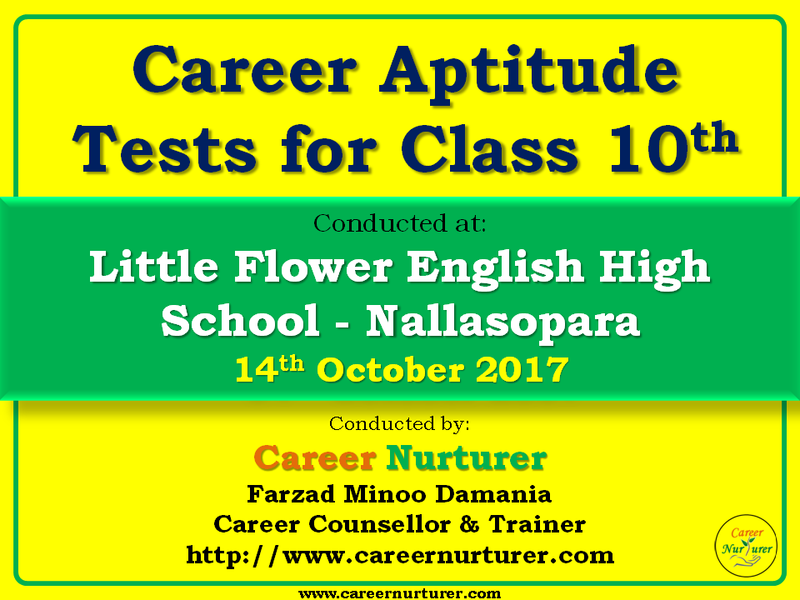 Career Nurturer Counselling www.careernurturer.com had the opportunity to conduct Career Aptitude Assessments for students of Class 10th at Little Flower English High School – Nallasopara on 14th October 2017. 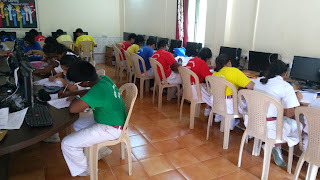 The purpose of the aptitude assessments was to evaluate the students on their aptitude and interests, thus helping them make the right career choice of what stream and career they may pursue after class 10th. 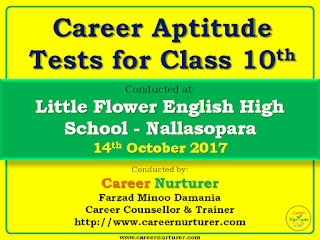 Here are some snapshots from the Career Aptitude tests conducted at Little Flower English High school on 14th October 2017. 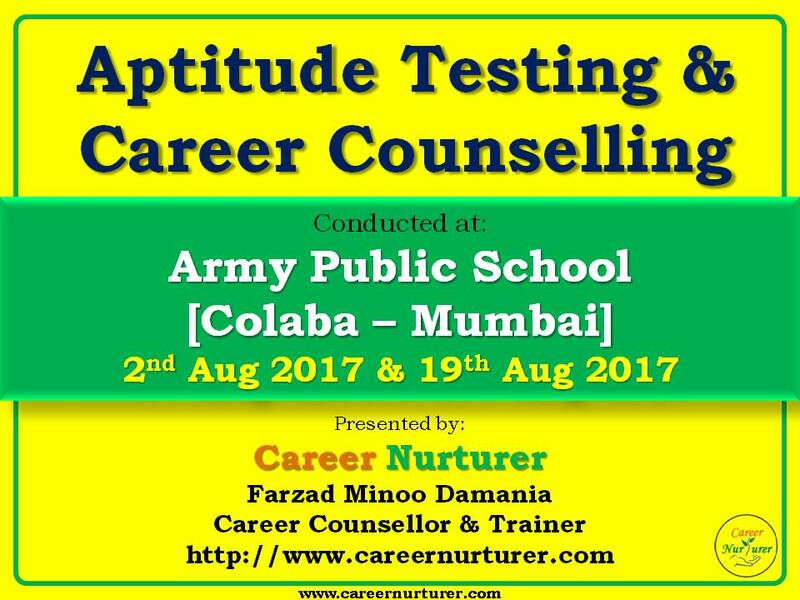 Career Nurturer had the opportunity to conduct Career Aptitude Assessments and Career Counselling for students of Class 10th at Army Public School on 2nd Aug 2017 and 19th Aug 2017 respectively. 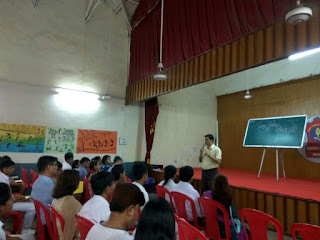 The assessments and career counselling was conducted by Mr. Farzad Minoo Damania – Career Counsellor and Founder of Career Nurturer Counselling (www.careernurturer.com). 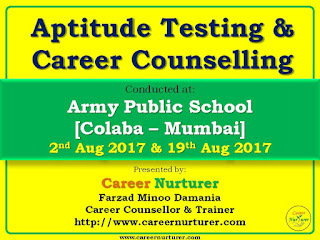 Career Aptitude Assessments were conducted at Army Public School Mumbai on 2nd Aug 2017. 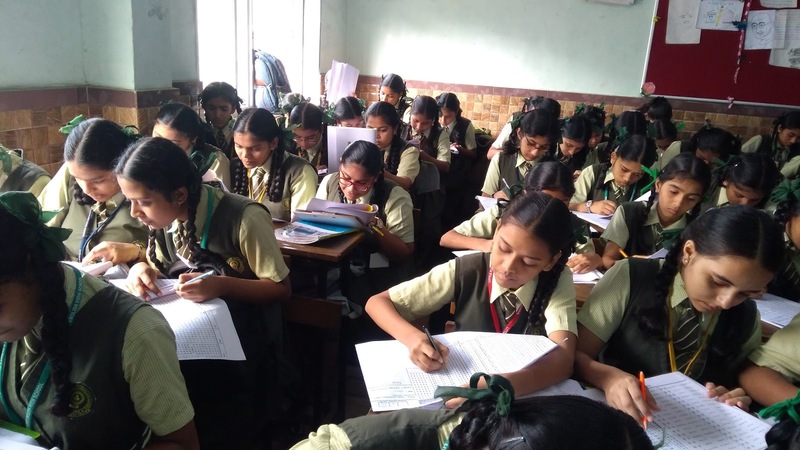 The purpose of the aptitude assessments was to evaluate the students on their aptitude and interests, thus helping them make the right career choice of what stream and career they may pursue after class 10th. Here are some snapshots from the Career Aptitude tests conducted at Army Public School Mumbai on 2nd Aug 2017. 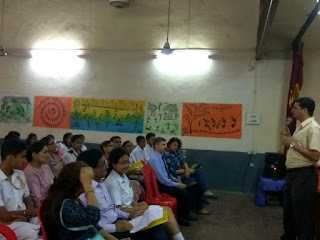 This was followed by a Career Counselling session at Army Public School Mumbai on 19th Aug 2017. The counselling session provided the students with the results of their evaluation and suggestions on the career options to be pursued. The counselling had an interactive Q&A session to help students and parents with their career queries. Here are some snapshots from the Career Counselling session conducted at Army Public School Mumbai on 19th Aug 2017.